Day 1 May 1, More than 70 youths from 9 countries, including Indonesia, Thailand, Vietnam, Malaysia, Philippines, Cambodia, Laos, Burma and China all gathered up here in Jakarta, Indonesia to participate in ASEAN Youth Forum “Shouting Youth Voice-Escaping from Neoliberalism Entrapment”. The youth participants prepared ourselves to raise our voices about challenges we are facing nationally and regionally. The morning section started with the presentation by Mr. Faisai Basri who gave overall information about ASEAN. Being an intergovernmental association, ASEAN focuses on 3 main pillars including political, economic and social areas. Motivating the youth to actively contribute for ASEAN development, Mr. Basri firmly stressed that the youth need to unite to create a strong network with young people from all walks of life. They can consequently reach mutual understanding and boost regional cooperation via this channel. He also suggested that enhancing policy advocacy activities would lay the foundation for the youth’s voices to be heard by their government. The afternoon section was the participation in Mayday Festival, started at 12PM. Having been informed about the scale of the Festival – which would have more than 1000 participants, I assumed that joining the walk would just like joining the crowded Flower Street in my city each time New Year comes. However, not until I joined the walk did I realize that the way it happened was beyond my imagination. The walk started when we got off the bus; the street where we were standing was nearly empty that some of us began to feel confused. Would it be only our group making the walk? Our confusion no longer remained after just a few seconds when we saw so many people pulling over from different directions. So many groups of people, so many colors of shirts and so many slogans. Just a few more steps and there we were among the crowd. Together we were moving in group for about 1.3 km towards the President house, next to the Monas Monument. The atmosphere became more intense when each group shouted their slogans repeatedly and people kept moving faster and faster, we almost run to catch up with the pace. This is the very first event in this form that we, 9 Vietnamese youths, have ever experienced, thus worries and the feeling of unsecured are unavoidable to us. Although the slogans and banderols were all shouted and printed in the language we don’t understand, we definitely felt their zeal for raising their voices. With big help from Indonesian friends, we finally get the meaning of the slogans sounded by thousands of people in different rally. 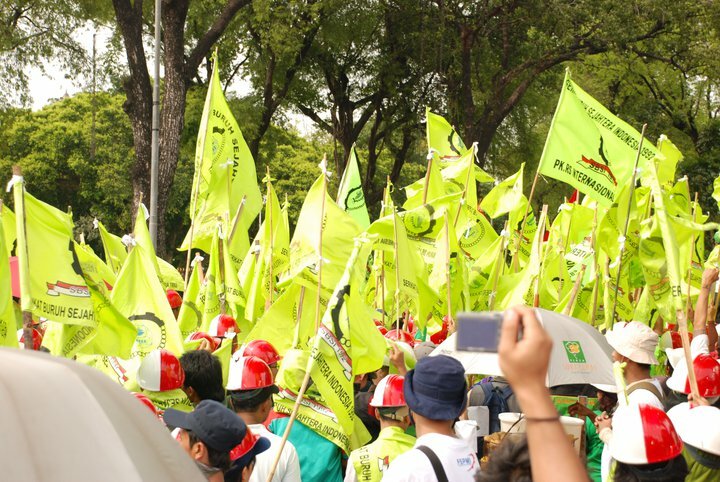 Each has different purposes but generally, they are to raise the demands of Indonesian for increasing wage, stopping outsourcing, calling for protection of labor rights, gender equality and increasing the accountability of the government. Henceforth, we found our participation in the Festival meaningful. This is lifetime experiences for me to broaden my view and see how Indonesian people actively engaged in national issues and raise their voices. Every moment in the rally was so unique and the experience was precious. Walking a distance of 1.3 km is probably ordinary to many people, but I personally feel like that every step I made in the Walk today is a giant step. After the rally, we went back to the Youth forum and continued our discussions. On elaboration of the most significant challenges that ASEAN youth is currently facing, each country team is requested to find out recommendations based on the challenges towards ASEAN. Though each national team raised different issues of their concern, there ended up 4 main challenges including poor public heal services, high unemployment rate, unsustainable environment and low education quality. Being the leaders in actions, the youth participants enthusiastically discussed and figured out recommendations to effectively respond with these significant challenges. At the end of the day, the youth has a comprehensive picture of ASEAN youth, their common challenges and action plans to build up a single and prosperous ASEAN Association. Day 2 started with academic talks of “The state politics and attachment of the youth” by Mr. Sugeng Bahagijo and “Marginalized and minority problems in ASEAN’s countries” by Ms. Dinna Wisnu. These talks amounted to the whole morning session. Have I ever noticed the important role of youth in the mechanism of the state politics? Or have I ever questioned how serious problems faced by marginalized and minority are? If we stopped ignoring these problems and put efforts on solving them, how developed my country would become? Before joining the forum, I absolutely had no answer to any of the questions above. After, keys to these problems were obvious to all of us. We are thankful for what being conveyed by our speakers. Having got an overview of the situation happening in ASEAN countries, all participants were divided into groups to continue the discussion of the day before. Four groups discussed 4 main issues which greatly affect ASEAN youth: Low quality of education, high unemployment rate, unsustainable environment caused by destructive development project and low quality of public health services. Based on the findings we had on Day 1, there we made our recommendations for the ASEAN in addressing these issues. By allocating problems, making recommendations through Final Statement: ASEAN YOUTH FORUM 2011|JAKARTA, INDONESIA, we called ASEAN to take immediate action to fulfill our recommendations. Finally, we, youth participants, met our objective of joining the forum which is raising our voices about issues directly affecting us as well as those we concern. Through active participation in making change to the social-economic-politic processes, the role of ASEAN youth is undeniably important. What I appreciated the most during my time at AYF is that, despite the difference of language, culture, political viewpoints, issues of concern, etc., while joining the forum, we temporarily put aside our nationality to be an ordinary member of ASEAN community. Isn’t it wonderful that we are one, we are all the same when it comes to doing good for our common community? Yes, we did take one big step on our way building ASEAN solidarity. 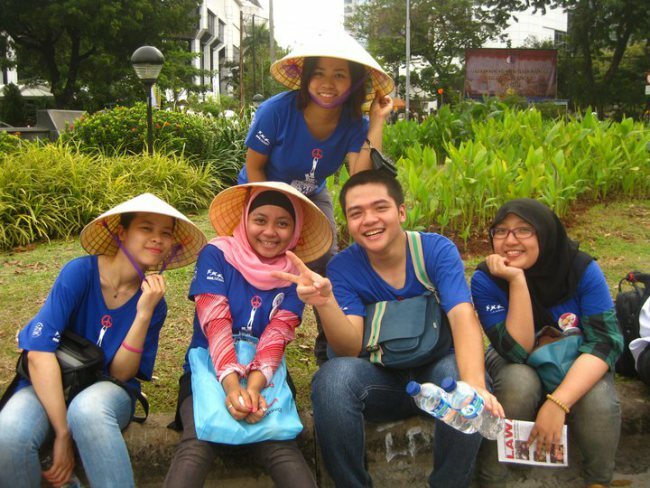 I was so glad to be a participant, to contribute a part, though small, in ASEAN youth movement. 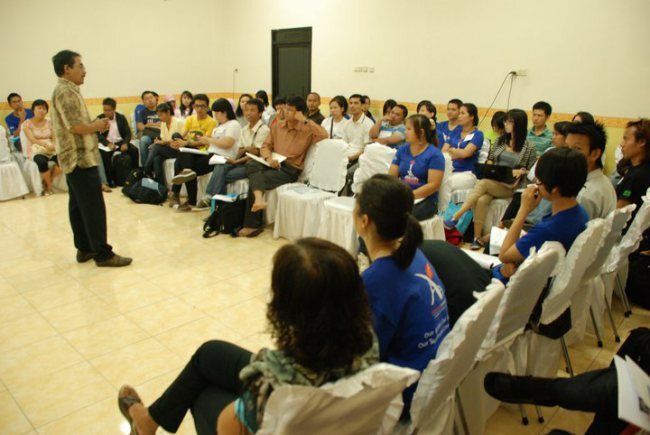 Thanks to this forum, we widened and strengthened our network. Together, we believe in a near future where democratic values, peace, equity and development are implemented. Together, we raise our voice up high.